Portuguese, Zpres, Bogatyr, On. Red, Lenongrad, Yugoslavian, Sweet Candy, Elephant, French, Spanish Roja, Ann’s Italian, Tibetan, Siberian, Locklern, German, Persian Stars, Rose de Lautrec. Samsara Fields Organics provide the most unique heirloom varieties of local produce to the customers, who look for somewhat different organic vegetables, grains, and preserves. 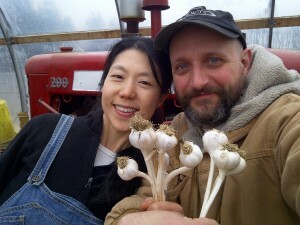 They will introduce anything related to garlic on the table at Toronto Garlic Festival.